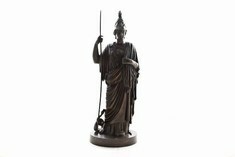 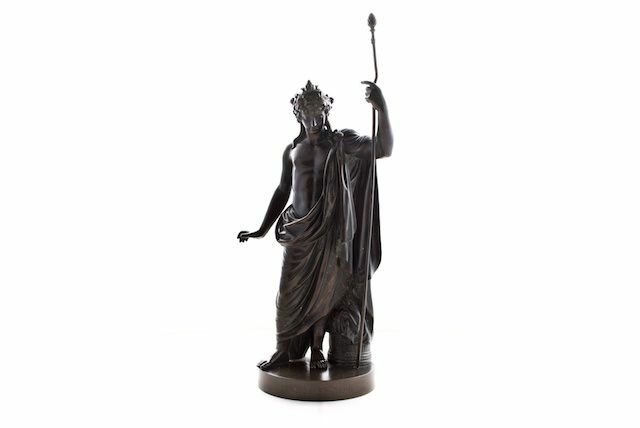 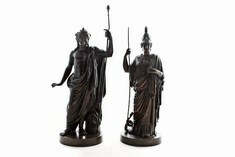 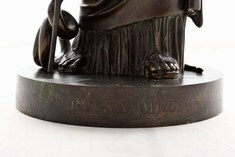 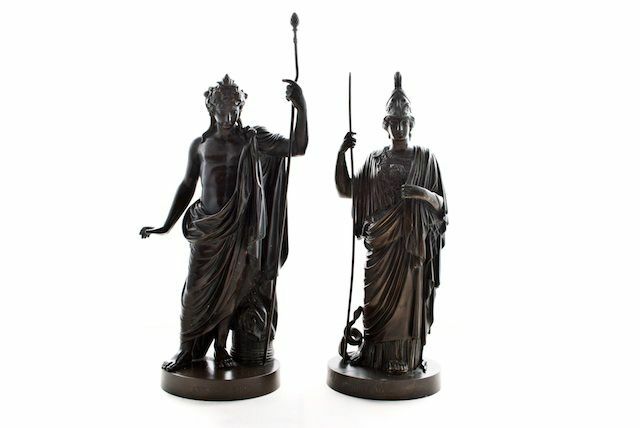 Pair of bronze Neo-Classical figures of Antino and Minerva, after the antique, in good original condition. 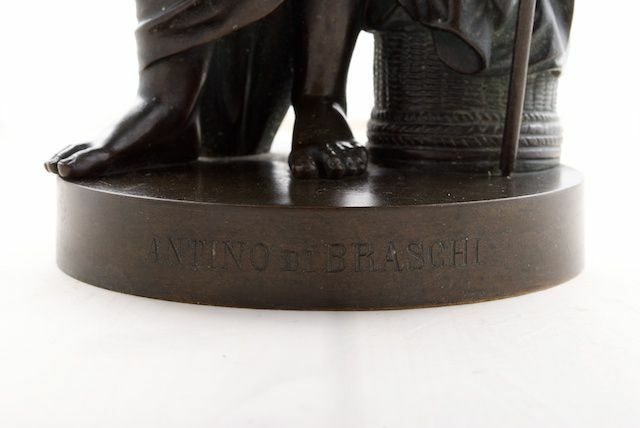 Italy circa 1815. 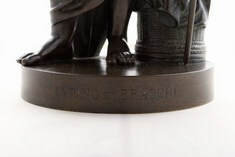 The circular bases with fine cut lettering Antino di Braschi and Minerva Medica.